Hey Fashionistas, today I will show you Justin Alexander’s Wedding Dress Collection for Spring 2015. Are you getting married soon? If the answer is yes, then stop searching for your dream wedding dress because there are huge possibilities to find it here! Every time Justin starts with a hand drawn sketch that later is transformed in fabulous, timeless design that every bride dreams to wear it on this big day that happens once in a lifetime. When Justin is creating a piece, don’t worry because the bride is in the center, so your dreams and desires are going to be satisfied. He is designer of mid to high end wedding dresses. His inspirations come from the 50’s and 60’s, so in this amazing collection you will find the couture and vintage wedding dresses. Although vintage, he adds a modern twist to every single design to make it fashionable and timeless for contemporary brides. If you are looking for a attention grabbing wedding dress, made of the highest quality materials then take a look at the gallery below and inspire yourself! 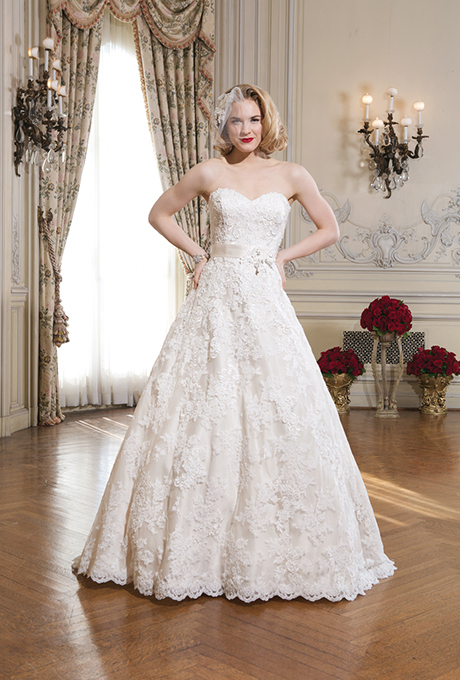 All of the silhouettes are glamorous, romantic and breathtaking! Enjoy and stay up to date with the contents of Fashionsy!